New homes typically take an average of six-eight months to build. While every home is different, our philosophy is simple – build it better than other new homes in the same price range with extras that add real value. Because we choose to sweat the details, our process fulfills home buying dreams in a way no other homebuilder can. While that luxury kitchen or extra storage might take more time, it’s worth it in the end. This is the exciting stage. After you’ve toured a model home and you get butterflies fluttering in your stomach, then you know you’ve finally found the one. The next step is to choose your lot! Your lot selection is a major factor in determining how long it will take to build your new home. This is because lots are usually sold in small groups. Could you imagine if everyone purchased a new home in a hundred-house community at one time? We would have some very antsy homeowners. After you select your lot, you’ll personalize your home by making some architectural and design choices. You’ll walk through the floor plan and review every last detail before giving us your blessing. Will you be able to hook up a gas line in the kitchen? Is there enough built-in storage? Do you want to upgrade to a luxury kitchen? This stage of the home building process takes about 30 days. Things like obtaining lending, choosing unique finishes, adding storage and other adaptations could add more time to the process. Many homebuyers feel that the benefits of having their dream home, in the end, is worth the extra thought that we put into the process. For a new home build, construction includes foundation, framing, electrical and HVAC systems, drywall and painting. This is the bulk of the new home building process and the part that takes the longest. It’s also the most tangible. As you visually see each part being completed, you know you’re one step closer to moving into your dream home. At Porchlight Homes, you’ll experience what buying the perfect new home should really feel like. 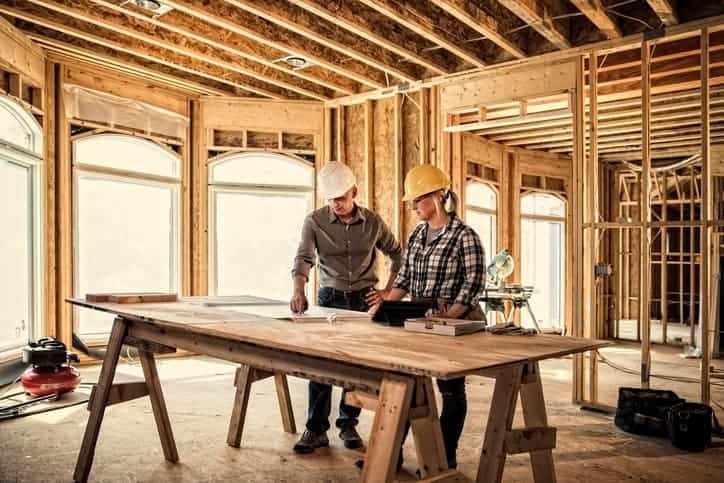 During the home building process, communicating with your builder is key. We want you to feel comfortable coming to us with design ideas or construction questions throughout the process. At Porchlight, we take pride in cultivating a seamless transition to our craft neighborhoods. Because at the end of the day, we’re more than builders of beautiful homes, we’re builders of beautiful memories. For more information about our vibrant new home communities, reach out to us online or stop by for a tour.